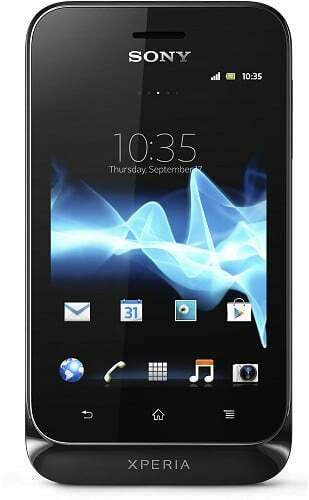 Sony's latest entry-level smartphone, the Xperia Tipo, is set to launch on O2 and Orange in the UK from next month. Announced in mid-June, the pint-size handset comes loaded with Android 4.0 Ice Cream Sandwich as well as Sony's UXP NXT software. That makes the Xperia Tipo the first entry-level Sony handset to ship with ICS. Hardware-wise, the Xperia Tipo provides enough horsepower for a basic Android smartphone experience -- a 3.2-inch screen, an 800MHz CPU, a 3.2MP rear camera and 1500mAh battery, which Sony says can deliver more than 24 hours of usage. Internal storage is split between 768MB for apps and 2.5GB for media, and that's expandable via a microSD card slot. That's all wrapped up in a neatly-designed package reminiscent of last year's Xperia Active. An O2 "coming soon" page indicates that the Xperia Tipo will be arriving sometime in August. There's no word on pricing yet, but we'd expect the phone to sell for around £100 on Pay As You Go, or to be given away for free with 24 month contracts.